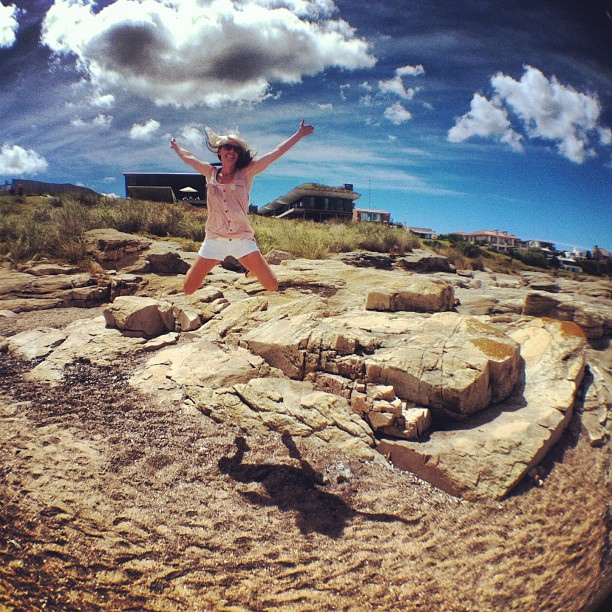 Being my last morning in Uruguay, it was time to say goodbye to the Playa Vik. What a wonderful experience we've had, staying oceanfront with perfect weather. I stole one last stroll along the beach to capture a few more photos and dip my feet in the water. Our driver arrived to take us the airport at Punta del Este, also designed by the Playa Vik architect, which is very clean and efficient. I like flying Aerolineas Argentina because of the modern fleet and decently size snack, regardless of the duration of the flight. 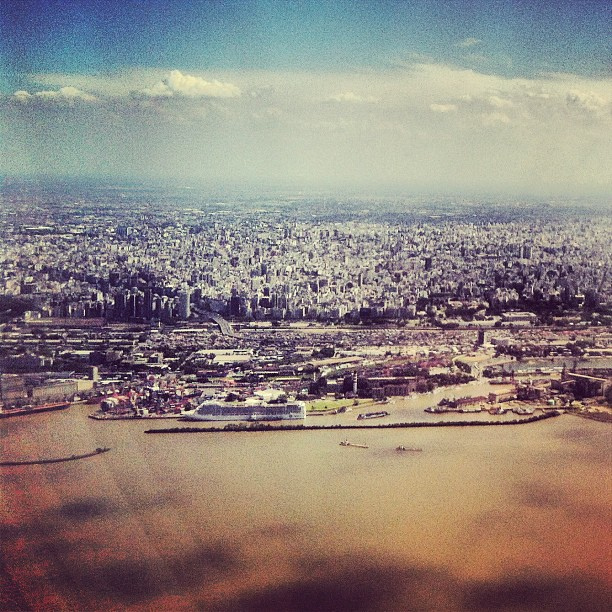 The skies were blue as we jetted off to Buenos Aires on a short plane ride. I relished the thought of returning to the Four Seasons, especially since everyone there has been so friendly and welcoming. It almost feels like going home. When our vehicle arrived at the Four Seasons, General Manager Rebeca was waiting to greet us, along with Maita; many hugs and kisses were shared. Rebeca informed me that the Owner's Suite was still waiting for us and everyone escorted us up to our room. We were thrilled to be returning to the lovely yet homey rooms. 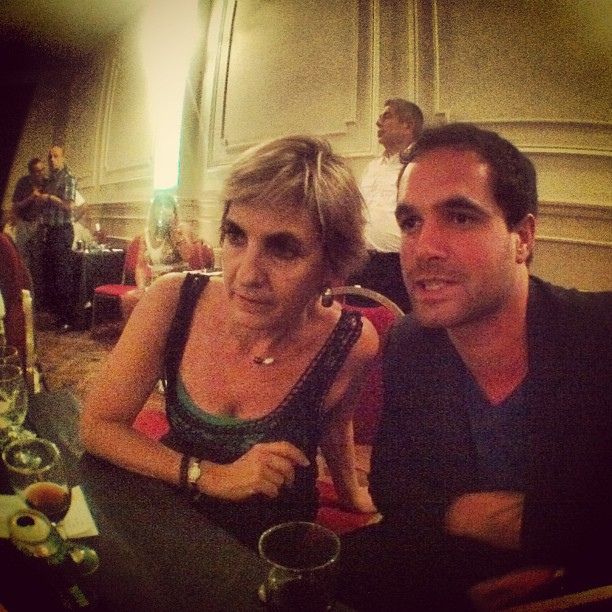 Maita stayed for awhile to hear about Uruguay and the fun we had with her daughter, Catalina. 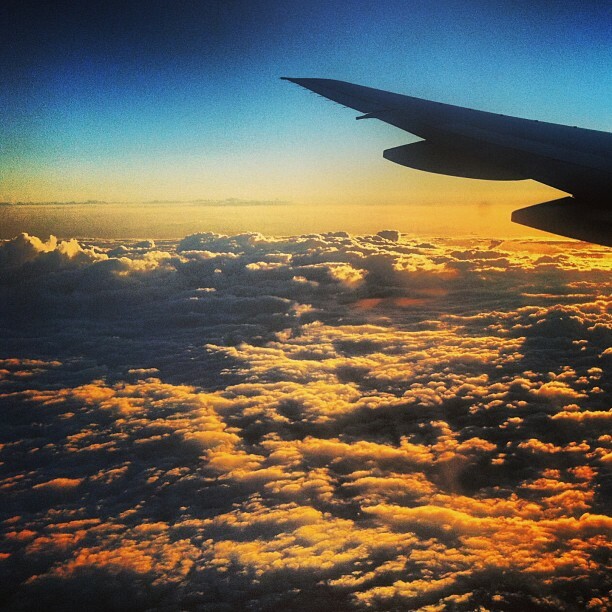 After sharing multiple photos, we discussed our itinerary options for the rest of the evening. We decided on steak for our last meal in Argentina, and, since we had not spent much time in the port, that we should try Cabana Las Lilas for dinner. After the meal, a driver would take us to the Armenian District in Palermo where a 'Milonga' would take place. Not fully understanding what that meant, I agreed that it sounded like an interesting evening. Having a few hours to kill before dinner, Joe and I spent some time poolside in the shade and ordered small plates to hold us over before dinner. Our favorite dish was an omelette sandwich with turkey, provolone and pesto on a soft baguette, served with French fries. 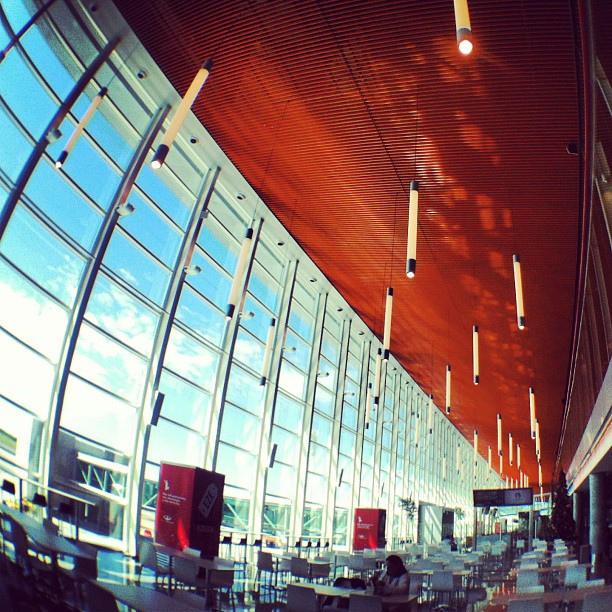 After some people-watching, I headed back up to the room for a power nap and shower to ready myself for the evening. 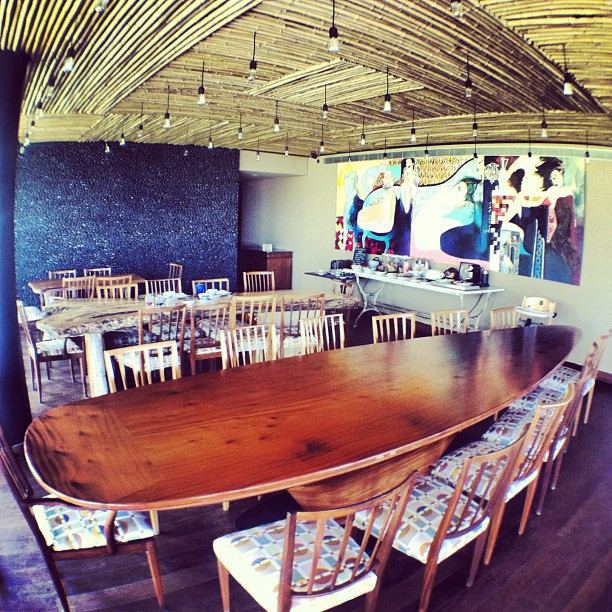 Our driver, Jose, picked us up from the hotel to take us to our restaurant Cabana Las Lilas in Puerto Madero. 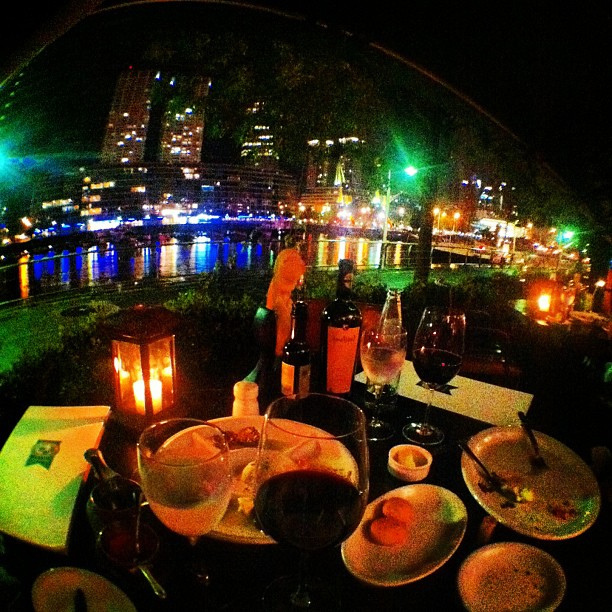 Maita had reserved a prime table for us overlooking the port to enjoy the balmy night. Joe and I ordered a Malbec from Melipal Bodega near Mendoza to accompany an antipasti tray at our table. For our main course, we selected a steak with sides of cream corn and soufflé potatoes. As we were about to leave, the chef sent out complimentary limoncellos for us to sample. 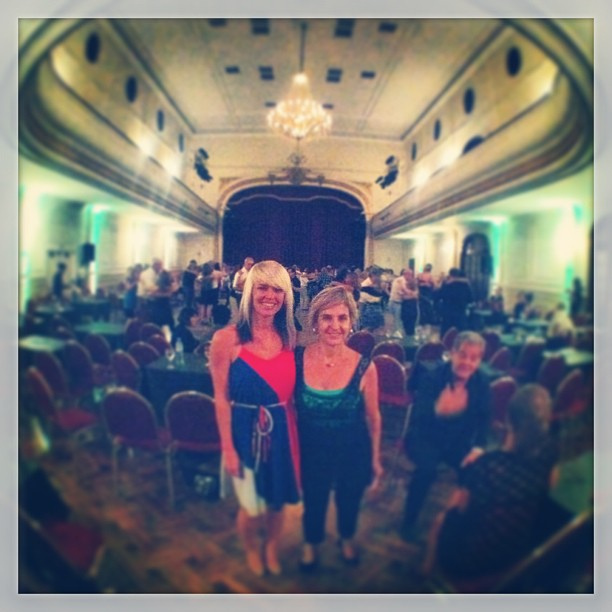 After dinner, our driver delivered us to Palermo for the Milonga. We still were unsure exactly what that was, but were looking forward to meeting our guide, Esperanza, to get more information. 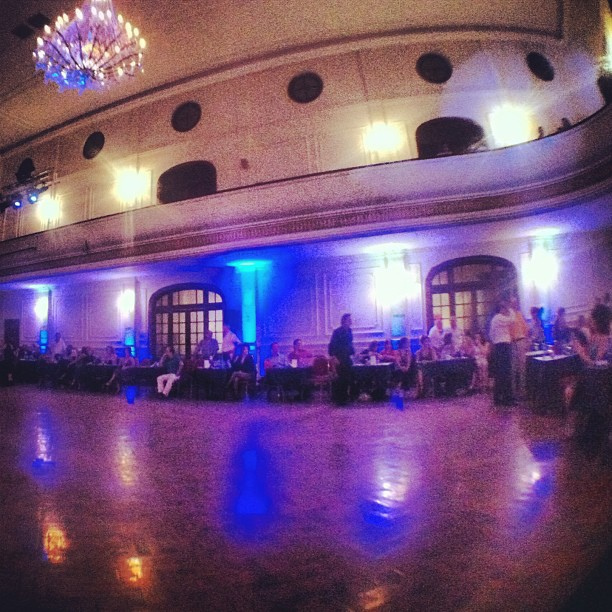 The crowded dance hall, La Milonguita, was swarming with couples circling the dance floor. I could distinctly hear the sound of shuffling feet, a trait of the Tango. Esperanza reserved seats for us that were front and center to witness the action. She says people come here purely to dance, many with a dozen different partners by the end of the night. Most intriguing about this whole process is the pairing up ritual. Esperanza says communication takes place completely with the eyes. If you are interested in dancing, simply gaze around the room. If you make eye contact, a certain acknowledgment with the eyes occurs, and before you know it, you're on the dance floor with a new partner. Esperanza went on to explain to me that this action is called "cabeceo". The word derives from the term "cabeza" (head) and refers to the slight movement with the head or eyebrows by which a man invites a lady to dance on the dance floor. It is so subtle that it lessens the awkwardness of someone coming to your table to ask for a dance and nearly eliminates that rejected feeling of someone turning you down. In addition to the Tango, the Waltz is also danced. We were privileged to watch Esperanza dance with her partner. The Tango is an artform, such an intense dance, where people of all ages are locked in a passionate embrace, eyes closed, just following the lead of the male partner. 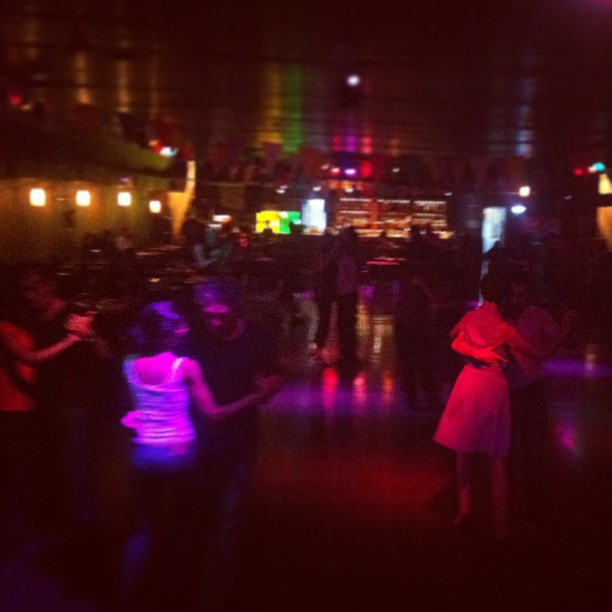 After being mesmerized by the crowd on the floor, we headed over to La Viruta, an underground Milonga club in the basement of the Armenian Community center. 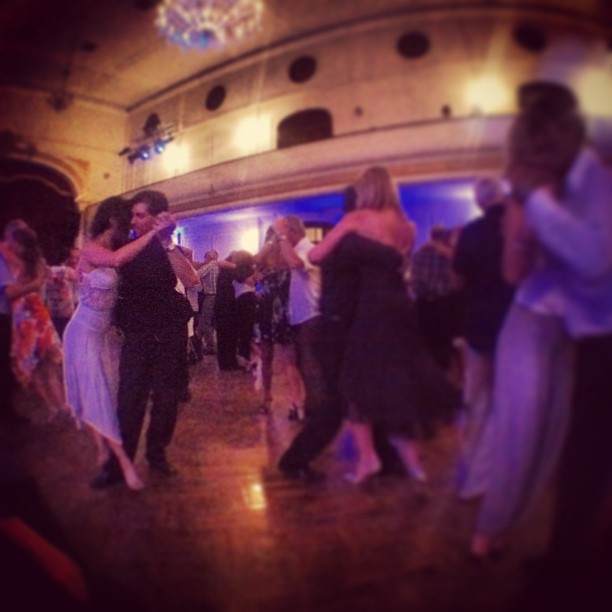 Esperanza explained that it can get quite crazily packed, but that generally this is a place where people love to Milonga, which is a faster version of the Tango and much harder to learn. She says that this Milonga will go through all hours of the night and breakfast is served to their patrons once the dance ends at 7:00 a.m. Talk about a love for dance in this city! 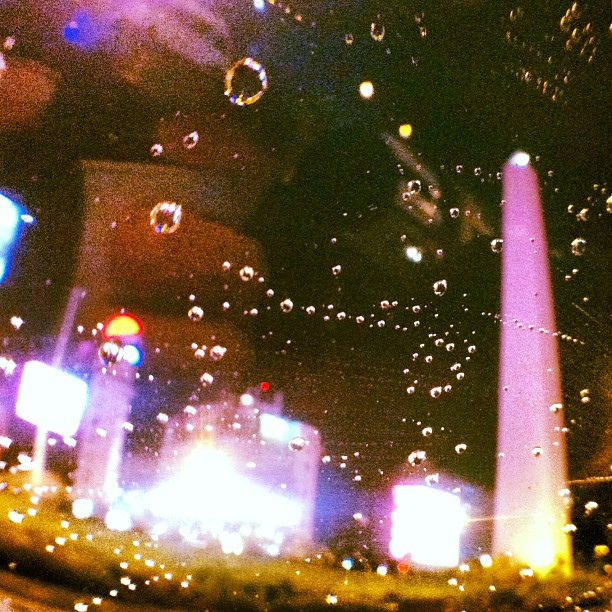 She described it well when she said watching dance is like being mesmerized by the cracklings of a fire or the waves on the sea; I could have stayed there all night, and yet I never knew these places existed last time I visited Buenos Aires. What a treasure! I recognized many of the faces from La Milonguita start to trickle down to the La Viruta. They obviously hadn't had enough dancing for the past four hours. Sadly, it was time to say goodbye, so Esperanza escorted us back to the street to catch a taxi to the Four Seasons. As we were waiting for our cab, I noticed Tango steps imprinted in the sidewalk in front of the Armenian Community Center. 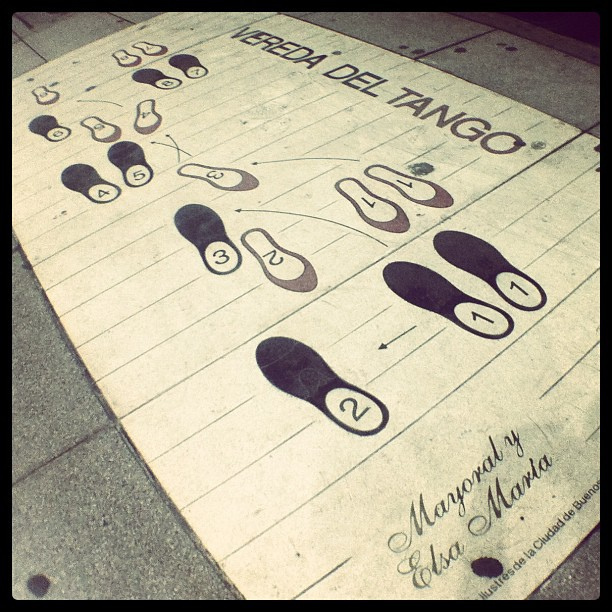 I recognized the logo of the people who had placed the Tango steps and instructions: Mayoral y Elsa Maria. Wow! We really had learned from the very best, only a few short days ago! As we rode in the cab, we thanked Esperanza for her kindness and hospitality to us and one last unforgettable night in BA! 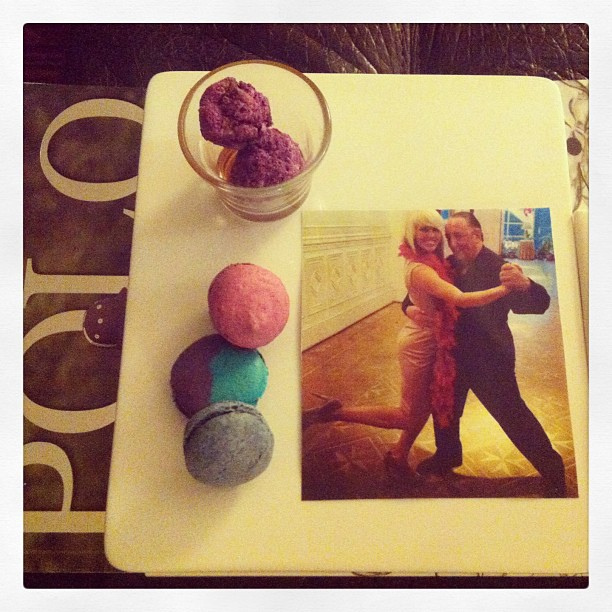 Before turning in to sleep, I noticed a small gift on my coffee table from the Four Seasons: colorful macaroons and a large color printout of my Tango lesson with Hector Mayoral. What a great touch by the hotel management! They have been absolutely amazing to me. I almost teared up thinking about all of the wonderful adventures I've encountered along the way. What a great way to end my trip. Viewed 5881 times so far.